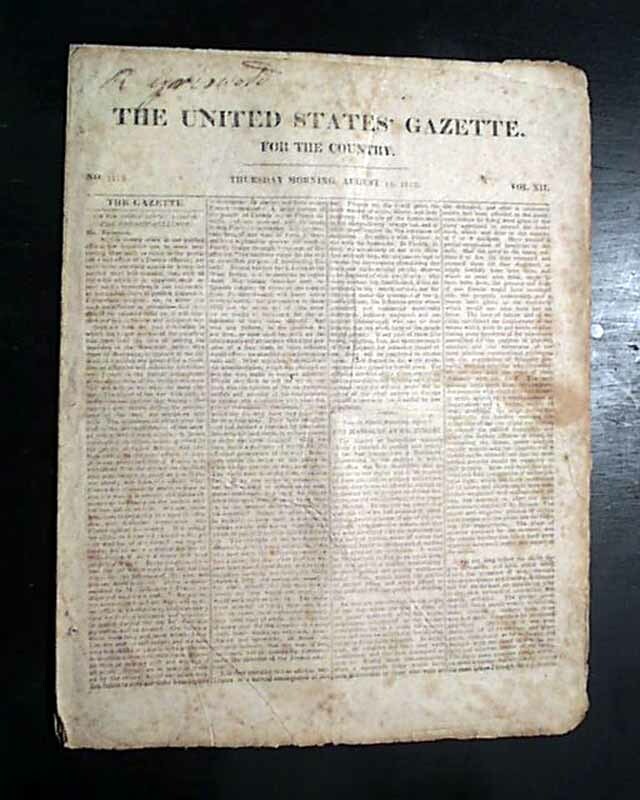 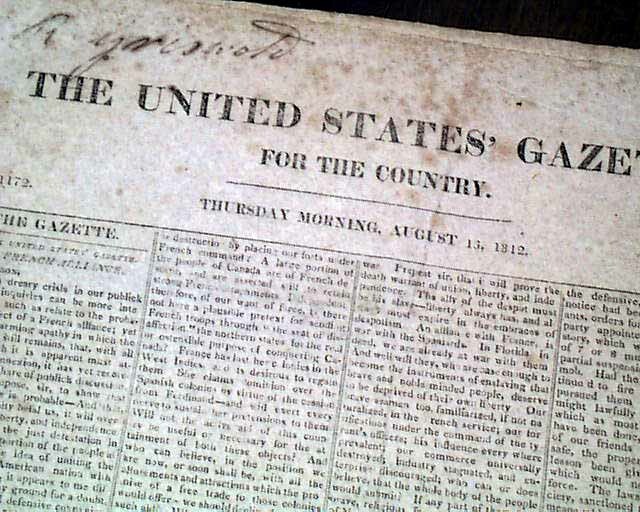 THE UNITED STATES' GAZETTE, Philadelphia, August 13, 1812 This issue is from shortly after the declaration of war against England. 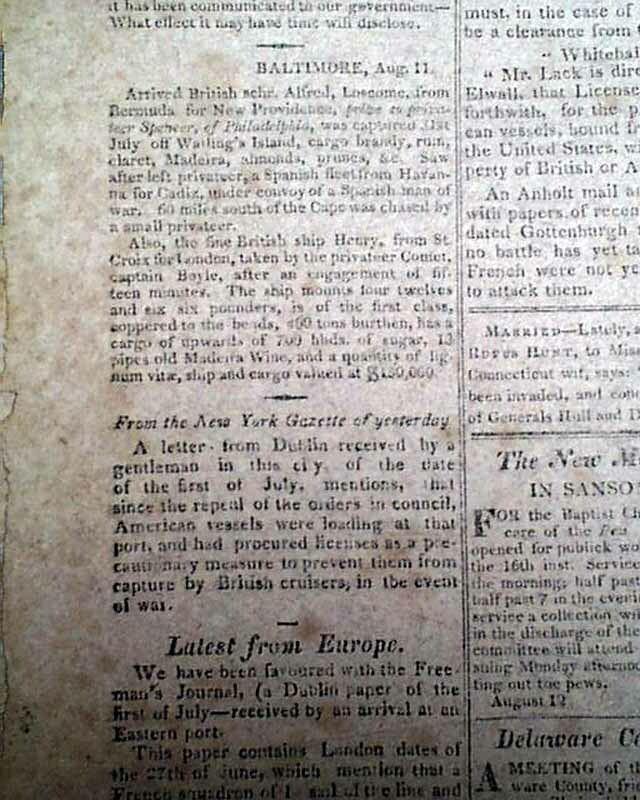 Content includes: "The Massacre At Baltimore" "Savage Barbarity"; a report beginning: "The British squadron have not made a second appearance before Sacket's harbour...The defence of the harbour progresses with great rapidity...". 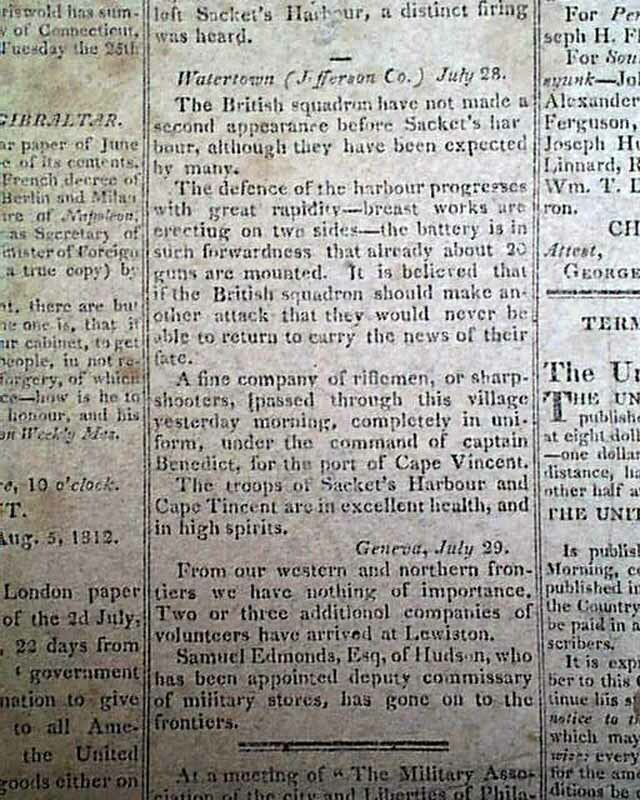 Other item relating to the early events of the war as well. 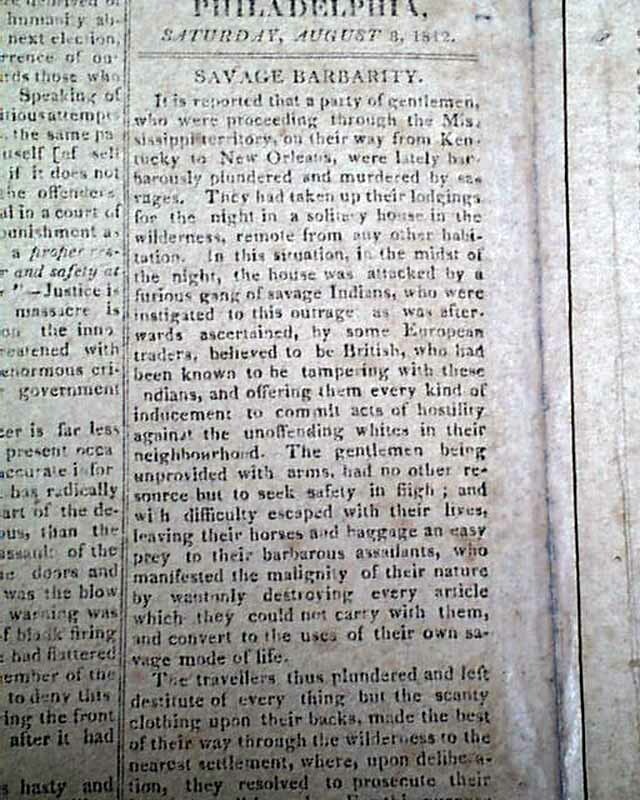 Eight pages, 11 by 14 inches, never bound nor trimmed, minor archival mend at the spine, good condition.